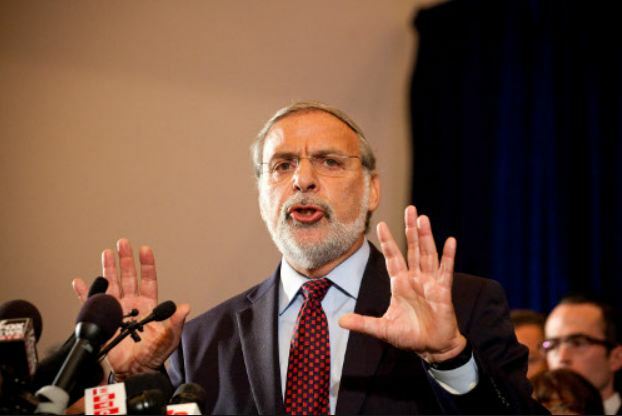 Assemblyman Dov Hikind (D-Brooklyn) had high praise today for the jury who found the Palestine Liberation Organization / Palestinian Authority liable in civil lawsuit over attacks that took place in Israel a decade ago. Tried in Manhattan federal court, the U.S. jury awarded victims of the attacks more than $218 million. “An impartial jury sent a message today that the average man understands terrorism when he sees it,” said Hikind. “When the evidence is presented, people know villains from the victims. And New Yorkers know that the PLO a decade ago—the PLO who committed heinous acts of terrorism—was the father of today’s Palestinian Authority, the so-called moderates who pretend to negotiate for peace while forming alliances with the terrorist organization Hamas.